Do you fall prey for this Emotional Sales Pitch? It has been a long tradition amongst us that you allow your heart to rule when you fall in love. You heart takes the decision there and not your mind. Similar thing should not happen when you take your investment and financial decisions. Most of the financial and investment products are marketed to create an emotional appealing and not a rational appealing. Well, I think all those investors who are above 30 years will vouch safe for me is that heart takes decision non-rationally (not irrationally), which is quicker, means it takes the decision and may or may not think about the consequences. Hence, marketers find it easy to sell their products, even complex financial investment decisions with long term implications, by appealing to heart. Selling pension schemes!!! Very few people actually think of retirement planning until and unless they approach 50 years of age. Now how to lure young people between 30 and 40 years of age to buy retirement plans like pension schemes. They would show an elderly couple frolicking in Goa beaches to show that they are enjoying their life even in their retirement life and money is no constraint as they have invested in the right pension plan when they were young. Selling Children Education Plans!!! While advertising an educational plan for children, the marketer would tug at the heart strings of the parents by showing a picture where the child is dreaming about a good overseas degree. Now which parent will think twice about not fulfilling the dreams of their child (and in today’s nuclear family, there is only one child to educate). And, a further stronger pulls at the heart, by putting a girl child’s photograph, with career aspiration. Making the parent feeling double guilty for not doing much for the girl child, and if she is the only child, more so. Many of my friends will now argue that it makes sense to go for retirement planning when one is younger or it is not always the aspiration of the parents to give the best to their children. I have no issues with these arguments. I would like to join in this chorus by advocating both. But with a word of caution. Please look for right investment products which will fulfil your need of retirement planning or savings for children education who are not spending too much money on advertisement saving it to give higher returns on their investment products. PPF is a very good safe investment option for anyone to accumulate money for their long term needs like retirement or children’s education / marriage. Similarly investing in mutual fund SIPs is also a good way of accumulating money for retirement and children’s future. The charges in mutual fund are very low when compared to the charges in children plan or pension plan from insurance companies. Long term saving product are not consumer product, which we finish using within a month. It is OK if you see your favourite actress selling a soap and you opt for it. But will it be wise for you to go for an insurance policy (Payable for 10 years or more) product sold by her. Please remember! The marketers who are pulling at your heart strings through advertisements have also the onus to recover the advertisement expenses including their own salaries, bonuses and perks. Why become a Mamu just like that!!! Use only your mind, when you make your investment decisions, and you will hardly regret any such decisions. Now take a list of all your existing investments and check you have bought them because it appealed to you rationally or emotionally. If you have just bought them, only because it emotionally appealed to you, then now verify the same investment appeals to you also rationally or not. If it is not rationally appealing, then you have fallen prey for the emotionally appealing strategy used by the marketers. Good that you are able to find this now. As you have realised this now, take a prudent decision to come out of this wrong investment and buy a right investment rationally. 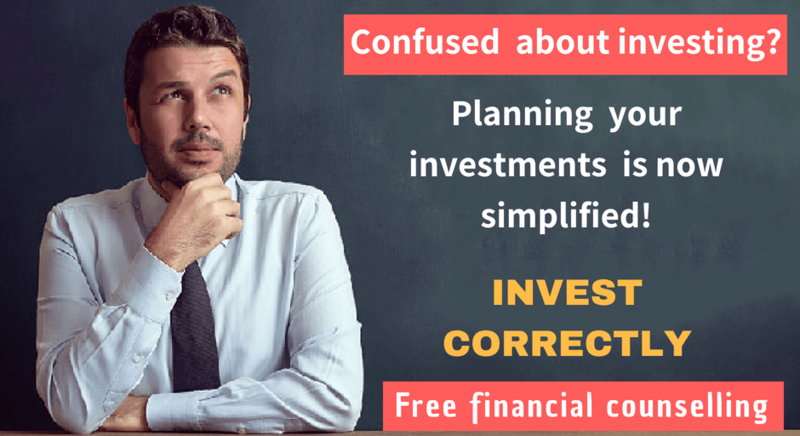 Previous Previous post: How to take Right Investment Decisions at the Right Time?